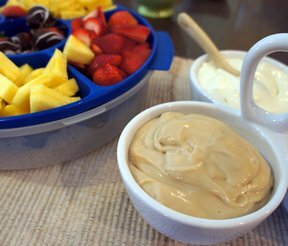 This fruit dip is a healthy alternative to serve with assorted fruits. 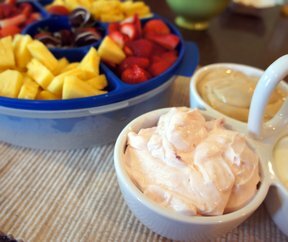 You can use light or low-fat yogurt and whipped topping and it is still creamy and delicious, especially with fresh strawberries! 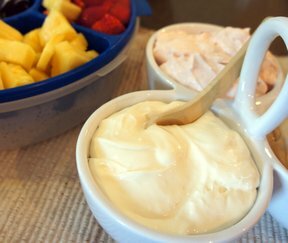 Fold yogurt into the whipped topping until thoroughly combined. 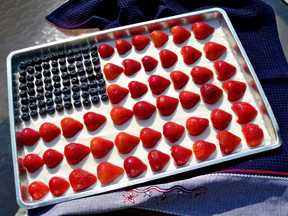 Serve immediately with assorted fruit or refrigerate until ready to use.